I hear being screamed by one of the many people watching as I begin to lose speed turning off the loose gravel and onto the soaking wet, soppy grass. And there it was. Held over the yellow tape so that I, or any other racer, could easily grab the delicious hand out and slug it down without even missing a pedal rotation. I’m sorry to say that with the 9 AM start and having drank the whole bar at a wedding the night before, I had to snuff my nose and skip the drink. Besides, “I’m working so hard and too close to the front to lose it now,” I thought. Shoulder to shoulder the Master Men on the first straight away. Cross in the Park is almost more a spectator event then it is a cyclocross race. Sure, it’s the biggest cycling event in Western NY with over 250 people racing, but I would be willing to bet that even more people show up to watch! Held each year in one of the nicest parks in Buffalo, NY, complete with rolling hills, a beautiful lake, a stone bridge, and a hundred or more year-old trees the setting couldn’t be better for an event like this. People from all over show up to watch the events throughout the day, hang out, drink some good hoppy beers, listen to the DJ spin records while watching the cyclists suffer. There’s a lot of suffering going on. 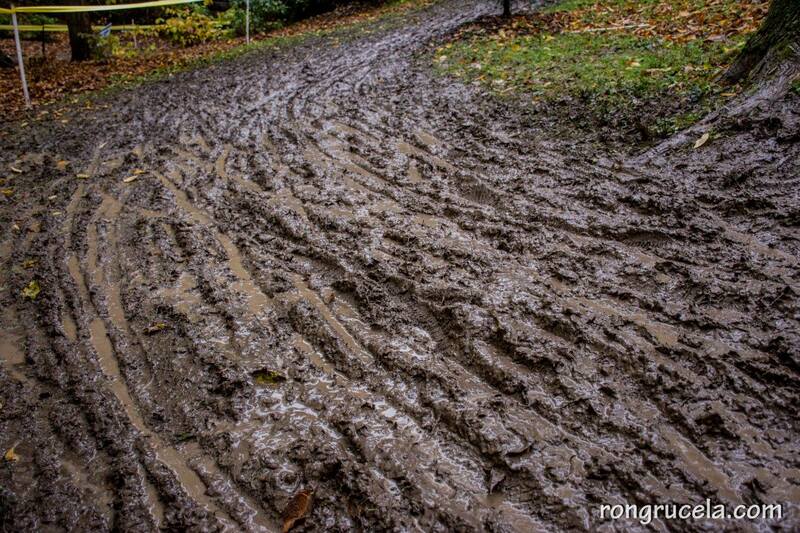 Plus this year Mother Nature went all out in adding another important element to the race – mud and some more mud. It poured for days leading up to the race and sure enough the entire night before. Then it came down creating a wall of water during the race just to make things interesting. Finally, I am one lap through this mess. I pass under the stone bridge and cross the line in 3rd still close enough to catch the two guys in front of me. 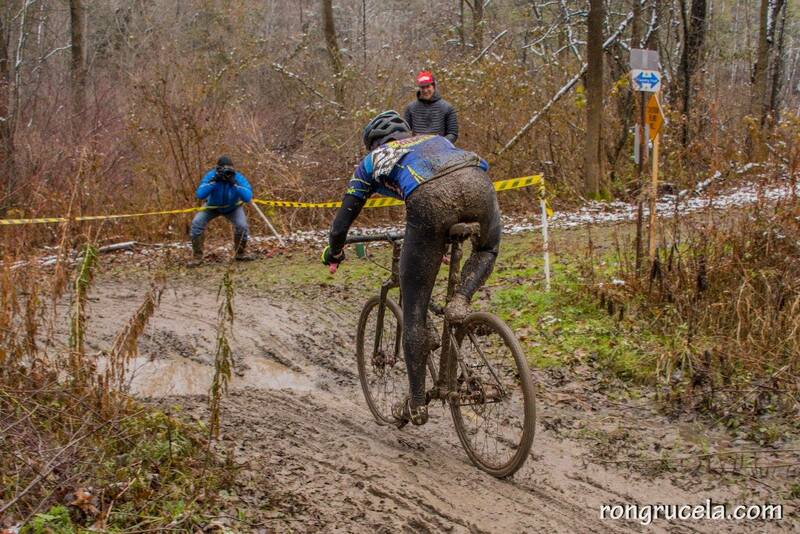 I spin my pedals as fast as I can spewing muddy water all over my face as I ride through the soaked course. I continue to pick up speed and careen forward until finally the first turn, I pull the brakes until the levers are touching the bars but I barely slow down. The sloppy course and the ever soaked rotors must have worn my pads down well. On top of that the cable on my mechanical brakes has stretched to the point that they are useless. I stop pedaling and take the widest line I can in the right hand uphill turn, complete the arc and stomp on the pedals again. I’m not one to ever have a perfectly working bicycle. I have ridden and raced for weeks on bikes with a single brake or gears that don’t properly shift. Sometimes wheels slightly out of true or any other random mechanical failure that could slow me down. But I do like to have at least one working brake. That seems important usually. I continued, keeping my position, and poured as much power into the bike as I could figuring that I could just pull the brakes harder at the next turn. That turn came and it was another right into a greasy rooted downhill single track. I could feel the brake levers hitting my handlebars and my fingers continued to pull but my momentum didn’t slow. I avoided the biggest roots and continued on right into the yellow tape marking the course, there was nothing I could do to avoid it. “Only the second lap and my bike is already broken,” I thought…”what the hell!” “I finally feel good, I got out here, and the leaders are right in front of me…I’m not going down without a fight,” is all that went through my head. I pushed down on the pedals through the wet grass, although moving slowly as my tires sunk into the ground, I was still keeping up. I cruised up the little hump and down the other side into the sharp left turn, doing everything I could to avoid the course tape while going wide right. Then it dawned on me! I can brake how we used to for fun! I would unclip my right foot just before each downhill and jam it on top of the rear tire against the seat stays. That will do it. Sure enough, doing that, I had the stopping power that I needed. Although cumbersome and inefficient, I’d be able to ride the course for a few more laps and hopefully keep from going down and hitting the trees lining the course. As I continued to pedal, my heart beat quickening, first and second place managed to inch away. Little by little, I lost sight of them and was forced to race solo. A tricky thing when you have to keep the pace fast enough to not be passed by a competitor but slow enough not to blow up. At this point its almost like a time trial. The whole race is a mind game. Keeping position was my only goal. You need to keep pedaling…if you’re not breathing hard, you’re not going fast enough. Your lungs should be burning! That would play on repeat in my mind like top tracks on the top 40 stations. I zoned out the fact that my brakes were shot and focused on one thing, keeping the third place spot. A racer pedaling through the nice new river under the stone bridge. All of the sudden, the drizzle turned to heavy rain and the droplets multiplied into the millions and millions. The sky had opened up. The already sloppy course almost immediately became a flowing river. Parts not flowing were ponds and if you couldn’t see water there, it was soaked into the Earth just enough to come right back up as my wheels rolled over. It became difficult to see. My glasses kept fogging up and getting splashed with muddy water, they became useless. 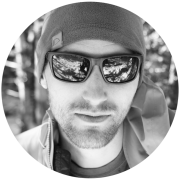 “What’s better,” I thought, “to have foggy glasses or mud in my eyes?” Minutes later the question became, “would I rather not see or see most of the time?” The glasses came off and into my pocket, seeing most of the time beat out being fogged up 100% of the remaining race. The rain didn’t stop, and into the 3rd lap there was a loud crack high in the sky. For the first time I wondered if this race could be cancelled. I continued to hear rolling thunder over the next few minutes, but it didn’t stop me and it didn’t stop the race. We would continue on! There are no rain dates for bike races (or should I say very rarely). The course was a wet mix of flowing water and deep mud. The water helped to clean my chain and gear before heading back into the sloppy depths of the muddy bogs. But it was a real grind that continued to slow myself and the other racers. Throughout the remaining portion of the race, I kept my head down and my legs moving. The slow churn gave the same workout that a constant climb would. The lactic acid had invaded my muscles but I just kept moving and tried to think about finishing the race, not the aching burn and not the pain overcoming my quads. One of the hardest things about racing is going beyond the pain, working through it until you hopefully come out on top. I think this comes down to knowing that it will end soon. 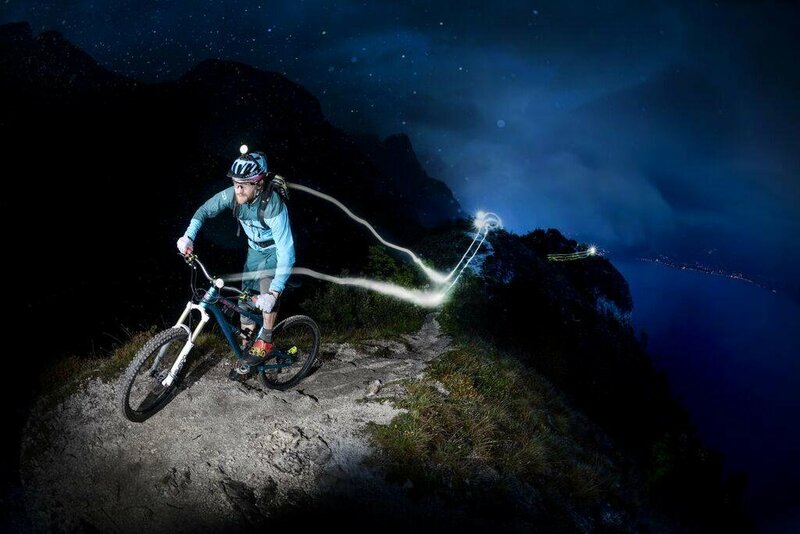 Riding a lot helps because you just kind of get used to it, but there’s nothing that ever makes it easy. At some point you just feel like you want to quit and have to force yourself to continue. This race was one of those – definitely not easy! But I despite the challenges, weather, brakes, and all, I did hold onto that third place spot! 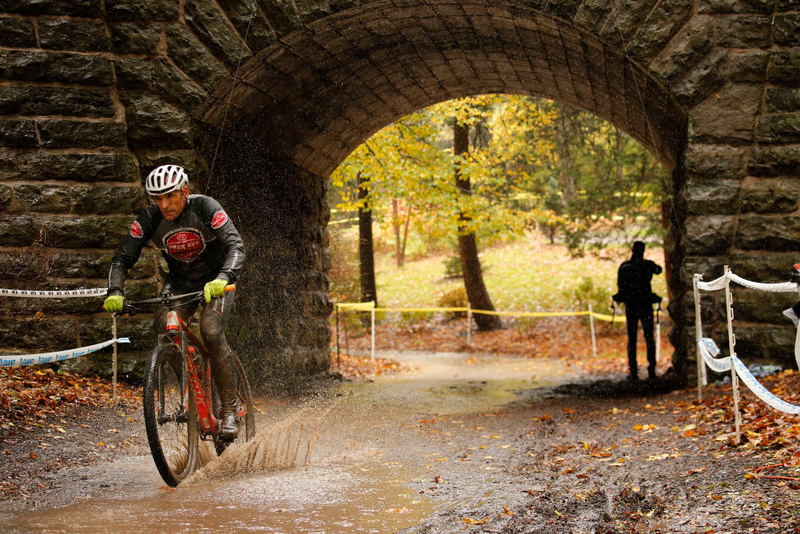 The winding course, slick mud, and ups and downs created a challenging and fun race with possibly over cyclocross-istic conditions. But the weather will change the dynamic of any race and that’s what keeps people coming back. 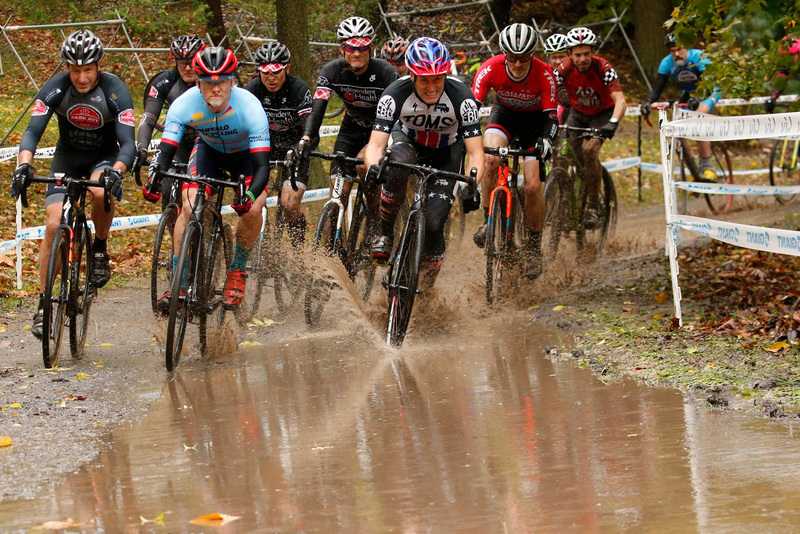 It’s the variety of terrain and how weather impacts the terrain, it’s the challenge, and it’s the fun loving competition in the cyclocross community. Cross in the Park is one of my favorite races and this year was no different. But I also love how many people come out to watch this race, no matter the weather. 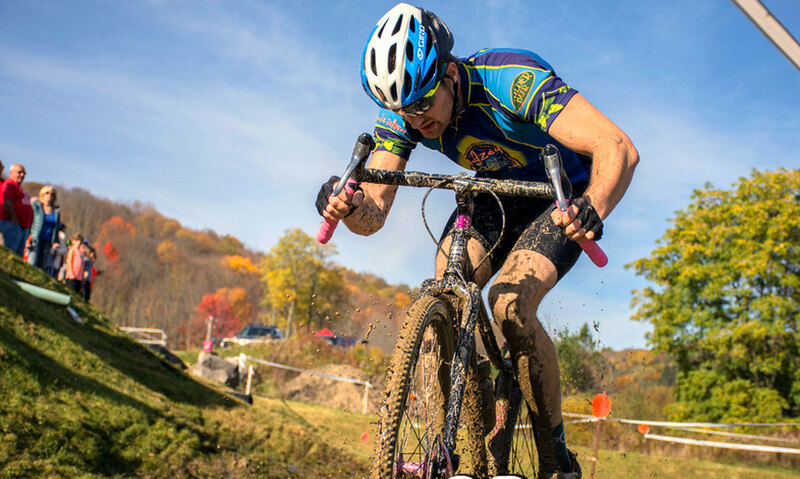 This race shines a very favorable light on the cycling community and hopefully helps to inspire others to ride bikes, whether that means racing in the mud or over through the park on a leisurely Sunday. A huge thanks to Campus WheelWorks crew for putting on such a great event each year! I know I speak for all of the riders in the upstate New York – Buffalo area when I say we’re all looking forward to next year’s race!